What Affects the Price of Your Glass? 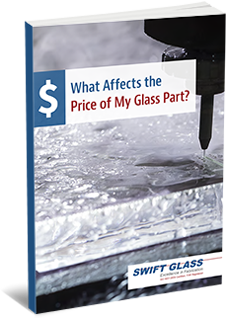 There are over a dozen considerations that factor into the price of your glass part. Understanding how projects are priced can help prepare procurement managers with sourcing concerns, and even reveal solutions to lowering the overall cost. Learn how you can lower the price of your project by filling out the form on the right.